The Wellies trend first appeared on Chictopia's streetstyle gallery in Winter 2010 seen on Saint Paul blogger luluetty of lululetty.com. She styled her green Hunter wellies boots with a white vintage aran cardigan sweater, green lulus green floral romper shorts, and brown vintage mink stole scarf. Since then, Welly clothing has grown in popularity as bloggers from Los Angeles, Saint Paul, and Barcelona have discovered them. 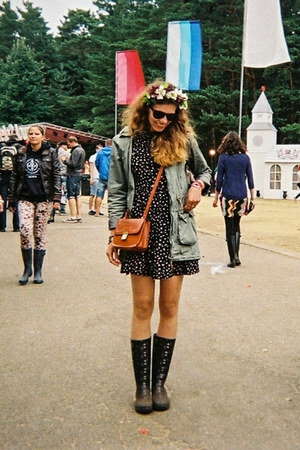 Welly clothing is generally seen in casual, outdoor, and chic style. Popular brands of Welly clothing are random, Amazon, Pretty Petticoat, brantano, and Hunter. There are currently 48 streetstyle photos of bloggers wearing Welly clothing.